The popular Havana Pio Pio cafeteria and Montecatini pizza parlor reopened its doors on Tuesday to being offering services to locals after an intense refurbishing process. 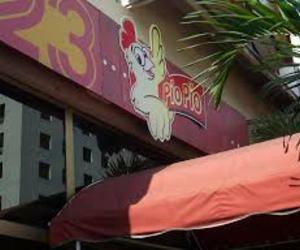 Odalys Rodriguez Perez, Director of Control of the Havana Restaurants company explained that Pio Pio located on L Street between 15 and 17th in Vedado municipality had serious problems with its construction while its water installation was replaced, improved kitchen area among others. The carpentry was totally changed in the cafeteria in addition to the bar currently with 16 seats. Rodriguez added that the area has a capacity for 100 clients but for the moment they willwork with only 7 tables until the remaining area is finished. He announced that the ration of chicken will cost 1.67 Cuban pesos and most of the beverages will be also charged in Cuban pesos. Different dishes with chicken, French fries, yellow rice and croquettes, hamburger, steak sandwich and cold salads will be offered in the Pio Pio cafeteria on L street between 15 and 17th in Vedado. Anays Arteaga Fontes, manager of the cafeteria announced that the area of the cafeteria will be only be opened from 10am to midnight and afterwards the salon will be opened. Arteaga added that they will begin the other stage of construction to finish some of the interior by the second trimester of this year. The Montecatini pizza parlor located on 15th Street corner of J in Vedado neighborhood will open its doors after five years of refurbishing, said Jose Antonio Victorino. Victorino pointed out that new air conditioners were installed as well as tables and chairs, and added. that the prices of the food range between 13 and 40 Cuban pesos. Each work shift will have a captain and two waiters to assist 40 people from 12pm until 10pm, he said. The administrators agreed that in both areas that were refurbished said that the equipment to cook the food were also repaired and has the necessary supplies and resources to offer quality assistance to the public. The reparation process was supported by the Party, Government and Restaurantes Habana Company. Authorities from the Provincial Administrative Council told CAN that has part of the Valentine’s Day activities, the Malecon Seaside Drive and popular 23rd Street will become huge restaurants for those that want to celebrate February 14th.